All Quarry at Iron Mountain homes currently listed for sale in San Antonio as of 04/26/2019 are shown below. You can change the search criteria at any time by pressing the 'Change Search' button below. 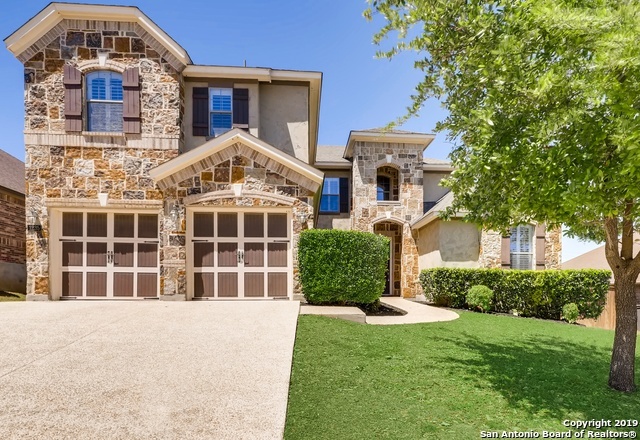 "Beautiful 5 bedroom in NEISD! Wonderful curb appeal on corner lot with front porch. Move in ready with new carpet and fresh paint throughout. Home includes water softener, sprinkler system, wood floors, game room, fireplace, 3 car garage, granite counters in kitchen, built in oven, refrigerator, gas cooktop, large walk in pantry, downstairs master and guest suite upstairs. Backyard has mature trees, covered patio and storage shed. Great location in quiet neighborhood close to hwys, restaurants a"
"Welcome to opulent presence by stepping into this spacious home with soaring ceilings, new carpet, new tile in the 2.1-baths, 3 roomy beds, & a commodious loft, suited for extra entertaining or quiet relaxation space. The island kitchens new backsplash is a perfect contrast to stainless appliances. Seamless flow to outdoor living & kitchen is created with a towering pergola, brand new fireplace, & stainless grill & fridge. A beautiful patio set conveys, ready for the new to enjoy this private oa"